The private detectives and corporate investigators of the Kurtz Detective Agency are your IHK-certified specialists for discrete investigations in Mülheim an der Ruhr: +49 201 3840 9057. The crime frequency rate is an indicator of the danger that crime constitutes for the population. In 2014, this rate reached 8,143 cases in Mülheim an der Ruhr which is a comparatively low number, when looking at the entire region, which also means a low-level of crime. But: In 2014, cases of theft were at 41 % of the total number of crimes committed in Mülheim. The caused economic damage equalled 7.326 million Euro – the dark figures are, of course, not part of this equation. Our detective agency in Mülheim an der Ruhr is accordingly approached on a very regular basis in order to solve offences against property. Burglary, especially break-ins into company facilities and private dwellings, are very stressful for Mülheim's inhabitants and businesses, for example, because the crime clearance rate through the authorities is extremely low: In 2013, only 7.43 % of the offenders could be identified and apprehended! Every deed causes an average damage of close to € 6,000 – this value lies far above that of other cities in the region. 65 % of the suspects were not Germans. In late summer and autumn in 2014, a spate of burglaries occurred; approximately 30 break-ins in Mülheim, Essen, and Oberhausen committed by one criminal who had been discharged from prison only a few days prior to his break-in tour. The caused damage reached, according to the police, the top range of five figures. Luckily, this multiple offender could be apprehended and arrested four months later, but as the above-mentioned crime clearance rate implies, this success of an official investigation attempt is rather an exception to the rule. Our private investigators in Mülheim are experienced in solving cases of offences against property and will gladly support the victims with their expertise. You can send us a description of your case via our contact form or give us a call. 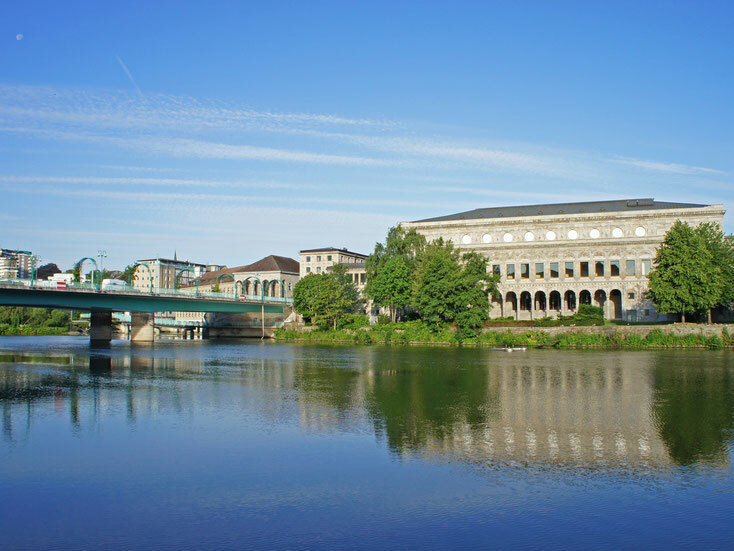 Mülheim an der Ruhr offers our detective agency a wide range of operation fields – in private and corporate cases. 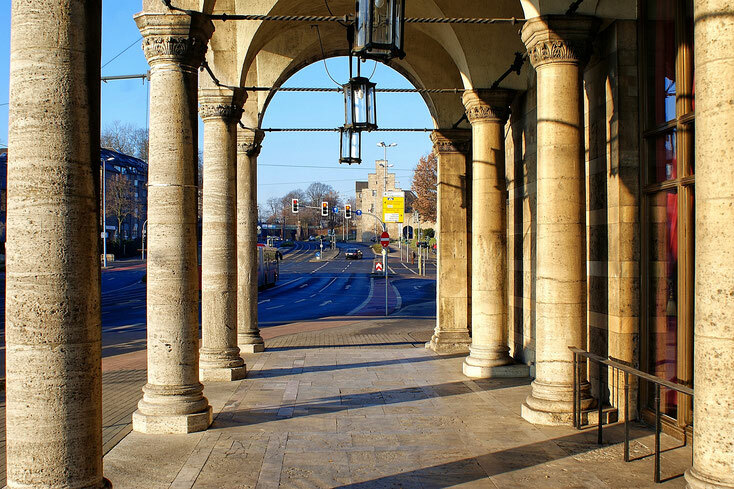 "In May 2014, a 79-year old female victim from Mülheim received a phone call from someone who pretended to be an acquaintance, asking for financial support. Immediately, she figured out that this was a trick and she ended the call and so no harm was done. On December 08, 2014, she received another phone call and she stated that it was the same caller from May 2014. This time, he asked for € 50,000. The victim agreed that the caller could pick up the money the next day. Thanks to surveillance work, a 14-year old boy from Mönchengladbach who came to pick up the money could be identified and apprehended. According to him, his task was to pick up the money, a reward was not part of the deal, he did not know the employer, and it was the first time he did this type of thing. Offences like these, aiming at the disadvantage of the elderly, are often committed by regional criminals, from out of town. The person who makes the initial call is often abroad (in Poland, Lithuania, Turkey) and has already created a structure which helps them to succeed at tricking dupable, elderly people, acquiring large numbers of cash. Part of these specialised and structured methods is that said offenders execute their own surveillance work or that they repeatedly call the victim, asking them about present police officers. For some time now, the police department Essen/Mülheim has been warning the public of such tricksters in the media." The educational work that the police has published in the media certainly has its results, especially in the field of trickery directed against the elderly – such crimes can be prevented and their completion is made impossible. However, Mülheim's population still faces cases of trickery of all kinds and the police cannot or does not want to help in all of them. If you, as a victim, are in need of support to solve a case, our private investigators in Mülheim an der Ruhr will gladly be of help at any time and suggest a fair fee for their services: +49 201 3840 9057.